The structure for job advertisements tends to be fairly consistent. Still, that doesn't mean you should skim through a job posting; carefully reviewing the company's write-up of a job will allow you to save time, by only applying to relevant jobs, write persuasive cover letters, and feel prepared for phone screens and in-person job interviews. Job postings are typically broken out into several parts – although the names of these sections can vary, expect to see information about the company, details on the desired qualifications of applicants, and some description of the responsibilities involved in the role. Job title: Keep in mind that job titles can have different meanings across industries and companies. "Editorial assistant" and "assistant editor," may sound similar, but are distinct positions. Look to the job title for clues about the required experience in this position, the level of responsibility involved, the salary, and the nature of the work. Qualifications: Also sometimes called "requirements" or "experience," this section of a job description details the type of accomplishments applicants should have. You may see things here like "high school graduate" or "prior experience in…" Here's where you'll find details on the background applications should have, including prior experience and accomplishments at other jobs, education, and soft and hard skills. It's not a deal-breaker if you do not have all of the qualifications listed, but ideally, you'll have most, and the majority will be at least familiar to you. Responsibilities: It is what you would do at the job. Take a close look – would you enjoy this work? Look for matches with the experience on your resume. Some job postings will phrase the responsibilities in sprawling terms (e.g., "lead the team in generating XYZ"), while others will provide more granular details (e.g., "create weekly report"). If some bullet points don't seem familiar, that's doesn't necessarily mean you shouldn't apply. But if you're wildly unfamiliar with all the responsibilities, it could be a sign this isn't the best spot for you. About us: Most job postings will provide background on the company. Let this be your starting point in researching the company, and understanding its culture and values. Benefits and pay: While hourly salaries are often explicit, companies tend to be coy when it comes to salaried positions. You may see phrases like "salary commensurate with experience" or "competitive salary" which do not reveal too much. When it comes to benefits, however, companies will generally be direct, since all employees typically receive the same benefits. Experience level: Whether in terms of years or career level, sometimes postings will include details about the experience level. You may want to review this alongside the job title – a job posting looking for a project manager with 3 to 5 years of experience will have a different salary and responsibilities from a "mid- to senior-level" project manager. As you review any section of a job description, keep in mind that the most important items are probably listed toward the top. If you fit four out of five of the bullet points listed under qualifications, that's cause for celebration, not despair. Remember, with many job postings it will be impossible for any one person to be a perfect match. Read with an eye toward what's essential for applicants ("must be comfortable using Excel") and what's a nice-to-have, or a softer skill ("detail-oriented and organized"). Be on the lookout for repetition: Does the job post reference wanting "self-starters" under qualifications, and then mention a project that applicants will "independently develop" in the responsibilities section? That's a tip-off that applicants should be comfortable working without supervision and in a leadership role. Depend on job advertisements to use some familiar phrases. There can be something a bit awkward about writing a job description (just as you may find it odd to encapsulate your tenure at a job into a few bullet points). Some of the more common phrases – self-starter, great communication skills – are intended as clues. Does a job require a "good sense of humor"? That might signal that daily frustrations abound, and if you can't roll with the punches, you'll find yourself frustrated in the position. Jobs that require "multi-tasking" and "deadline-driven" applicants may have a bit too much work for one person to juggle. Initially: Your first look at the job description can be a quick review. Think of this moment as being comparable to checking out a potential date at a party: Look for compatibility. Before writing a cover letter: Your cover letter should be personalized to the specific job, and to the needs highlighted in the posting. Before submitting an application: Before you submit your application, including your cover letter, resume, and any other details requested, review the posting one more time. Have you followed the instruction for applying for the position correctly? Did you emphasize the correct details in your cover letter? Should you tweak your resume to reflect certain skills above others? Before an interview: Whether it's a phone or an in-person interview, read the job description carefully before your conversation. It will remind you of the details of the conversation, and show you which points to emphasize. 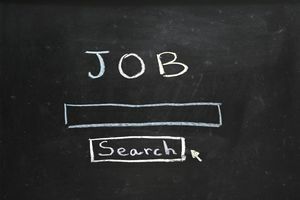 Don't make the mistake of only skimming the job posting. While you may find them difficult to read, or repetitive, the information included in job advertisements will help you submit the perfect application, and give strong responses to interview questions.